I started piecing my HST units together. I’m making four large blocks and will piece those together and add a border when I get home to Michigan. 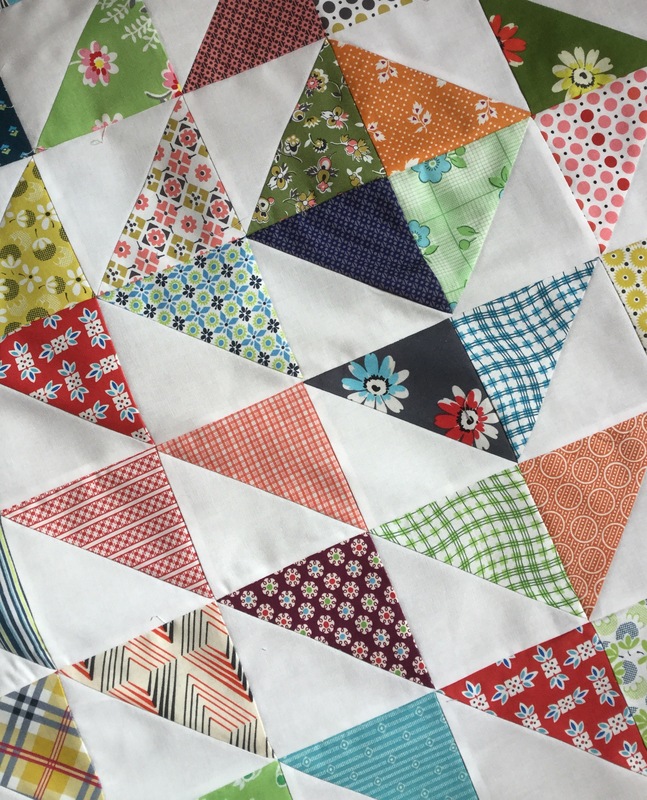 I took my sister to the airport very early this morning so a bit of piecing, some housework, and a nap are on the agenda for today! Sounds like a perfect agenda to me. Love the layout you chose, Katy! Looking forward to seeing it all finished!! I can’t wait to see the entire quilt either! Such happy colors! I can’t wait to see the entire quilt. It looks like a taste of spring! You have a wonderful eye for color placement. Looking forward to seeing the finished project.